Lake St. between Wabash Ave. and State St.
William Brown was born in Chicago on 24 Jul 1867 and died 4 Apr 1914. 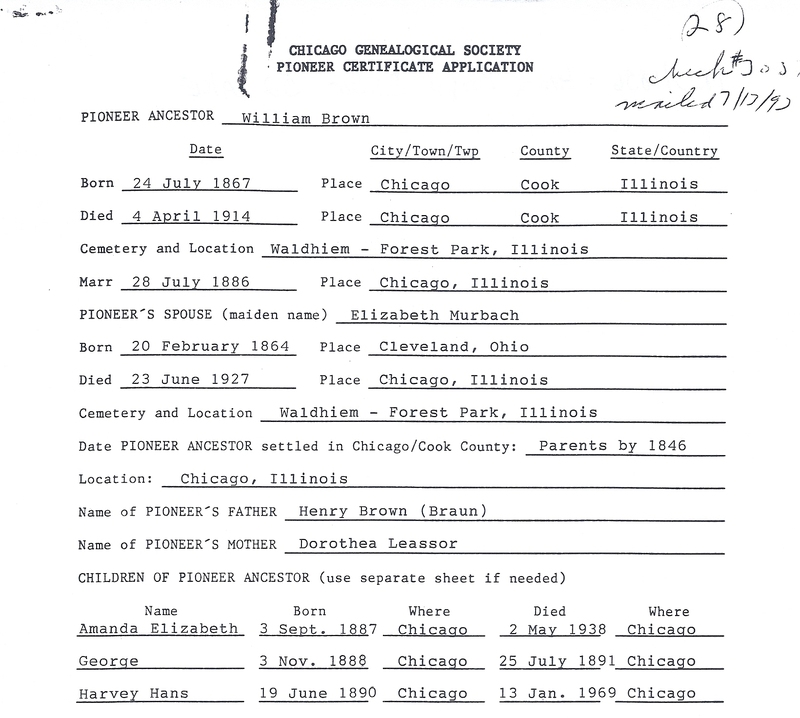 William's parents were Henry Brown and Dorothea Leassor who settled in Chicago by 1846. William's wife was Elizabeth Murbach born in Cleveland, Ohio on 20 Feb 1864 and died in Chicago on 23 Jun 1927. William and Elizabeth are buried in Waldheim Cemetery in Forest Park. For further details contact the Chicago Genealogical Society. William Brown is Pioneer Ancestor number 28.